It’s nearly time to get busy writing your Christmas gift list and when checking it twice, be sure to add to it this cute pooch, plucked from the astounding lineup of toys from the masters of fun educational toys, LeapFrog. A puppy friend with a difference, My Pal Scout makes for the perfect personalised gift for your toddler! One thing I know for sure when you buy the LeapFrog brand, you’re buying a smart toy and these plush toys are absolutely no exception. More than just a cute soft puppy with the most lusciously soft ears you ever did feel – My Pal Scout and My Pal Violet are interactive soft toys that can be taught your child’s name, plus your child’s favourite food, colour and animal. It won’t take long for young children to discover all the fun things My Pal Scout and My Pal Violet can do. A flashy light collar moonlights as a fun way to teach colours and these super cute paws each reveal a different action – easy to operate power on and off, fun music to bop along and sing with, soothing lullabies and a bounty of fun activities including counting and making animal sounds. A gentle squeeze of My Pal Scout’s tummy teaches little ones about all important feelings and friendship. It will come as no surprise that children are going to want to start playing with their My Pal Scout or My Pal Violet as soon as the wrapping paper has been torn away, so we’re thankful that we can customise these pups from within their packaging using any smart phone, tablet or computer, allowing children’s first interaction with the toy to be a personal one. With their first meeting in mind, be sure to input your child’s name (it’s easily done with just your smart phone) for what will sure to be a delightful surprise for children to discover their new puppy friend magically already knows – and even says their name! 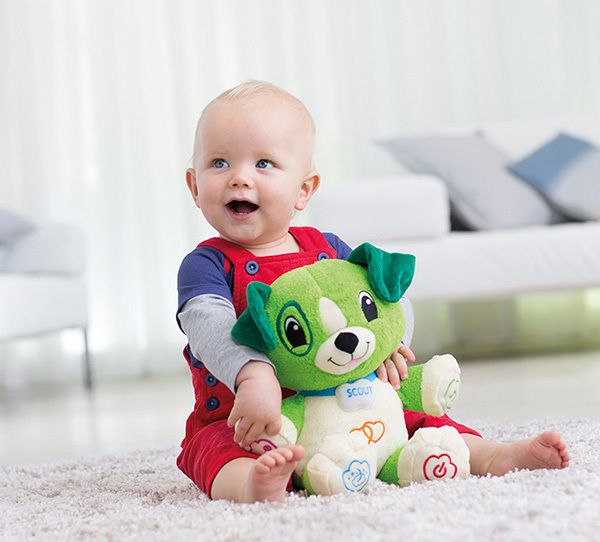 Parent’s can select and download songs from an impressive LeapFrog collection for their puppy to play and can even set a two, five or ten minute auto timer. Leap Frog My Pal Scout and My Pal Violet are destined to become much loved toys of the six to three year old set and a must have for the toy box this Christmas! 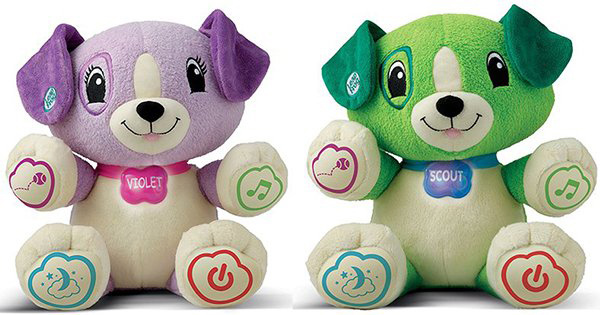 My Pal Scout and My Pal Violet are priced $39.99 each and available direct from LeapFrog and leading retailers. Be sure to head on over to the LeapFrog Australia Facebook page to keep up to date on news of upcoming toys set to hit the shelves (and be a hit in the toy box! ).